Under the overall supervision of the UNFPA CO Representative and immediate supervision of UNFPA CO Program Analyst for Humanitarian Response, the incumbent supports the implementation of RH and GBV in Emergency program of UNFPA CO in areas affected by emergency conflict induced IDPs by working closely with government counterparts, UNFPA NGO implementing partners, and other UN agencies. Fluency in English - Another UN language would be an asset. 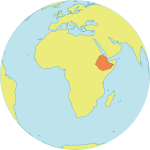 Ethiopian regional languages will be a strong asset.